"The good [news articles] start with a sentence (or 2) so unique to the story you could never use it on another one." This perfectly encapsulates the way I think about game trailers. Excluding literal game clones, every game has SOMETHING unique about it; it's the job of the trailer maker to find that thing. Video games have a long history of being thought of as products like a car or smartphone; a lot of people focus on features like: cooperative play, unlockable items, physics simulations, and high resolution textures etc. This way of looking at games as products can filter down through press coverage, heated online arguments, and advertising. I think this mentality for games is why there are so many game trailers which boil down to a video checklist of features, intercut with game footage. Many of these trailers end up highlighting the ways a game is similar to others rather than different. 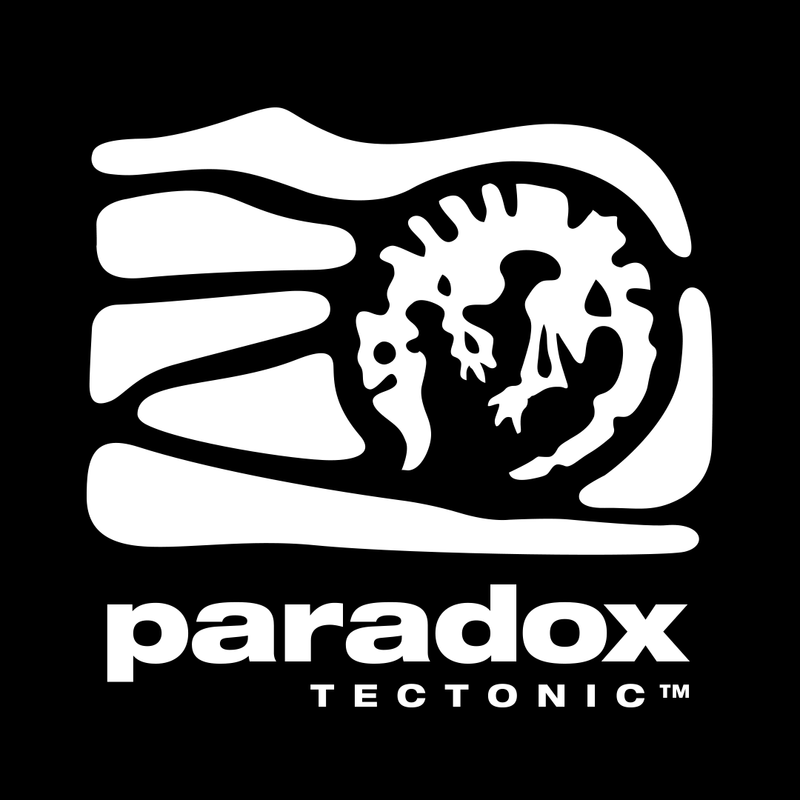 It's perfectly understandable for new games to incorporate popular game design features, but I'd like to think most people take popular ideas, and put a unique spin on them. That unique spin is what a trailer needs to start with, and if there's time, it can cite some bullet points which might interest some people. When I see a feature list in a trailer, it's a lot like the experience of going through profiles on dating apps. There are functionally an infinite number of people on dating apps, but surprisingly few profiles stand out in any appreciable way. "I'm here in LA enjoying living my life to the fullest! I'm a fun-loving person who loves to laugh, and is fluent in sarcasm. I enjoy hiking, traveling, cooking, going out to eat, seeing shows, and dancing, but I also like to stay at home and watch Netflix. My favorite movie is The Shawshank Redemption." 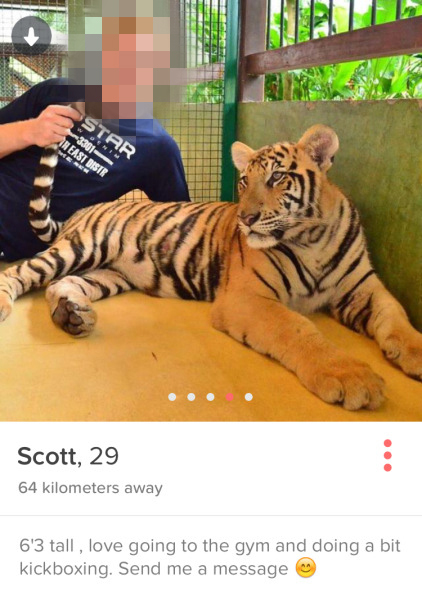 Their photos would also include: Car selfies, Machu Picchu, Snapchat filters, and a sedated tiger. Uniqueness is of course by definition something which stands out from the crowd. I've already cited a number of ways people make themselves look similar to others, but another mainstay of dating profiles are men who take shirtless selfies; those won't make a guy stand out from the crowd. But a person in 2019 who cites a love for 1930s musicals will draw attention because it's not something you're likely to find in dozens or hundreds of profiles. There are a countless number of games where you shoot and kill other people or things, this means unique games poke through the noise. For example: Papers, Please where you play a border crossing immigration officer looking at documents, and stamping passports. Or Florence, which is a game about a relationship between a woman and a man where the game interactions are metaphors for their trials and tribulations. Specificity means digging deeper into an idea. For example: "cooking" is a very broad interest; for all I know this person's definition of cooking is microwaving a frozen dinner. 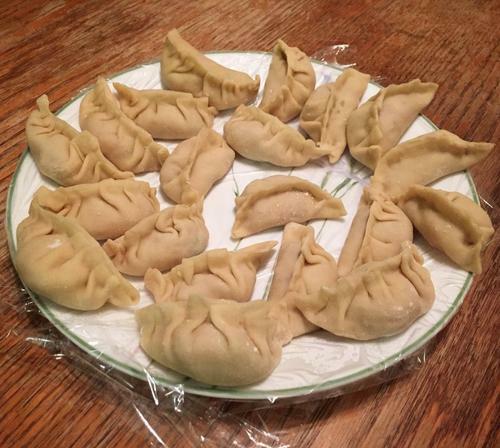 A specific example could be "cooking pot stickers." This says the person is very likely of Asian descent and enjoys making food from scratch. 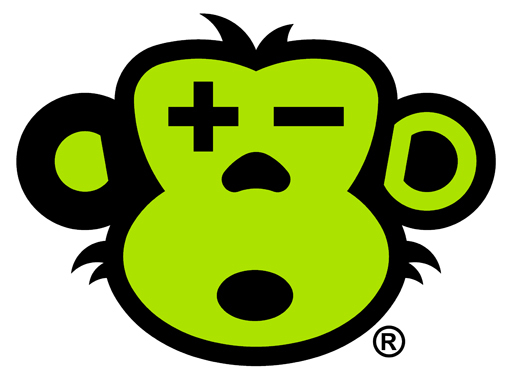 For games, a broad gameplay descriptor is: "Platformer." A more specific example could be: "Platformer where you can't jump" (which is one of the ideas behind Nintendo's excellent Captain Toad: Treasure Tracker). Unique combinations can also draw attention. There are some things which are unsurprising to see together, like a person who lists My Neighbor Totoro and Princess Mononoke as their favorite movies. But what if someone said their favorite movies are: My Neighbor Totoro and A History of Violence? A first person shooter where you're in the military is a very cliché combination, but a first person shooter where time only moves when you move is unique! There are a lot of games whose entire hook are based on unique combinations. 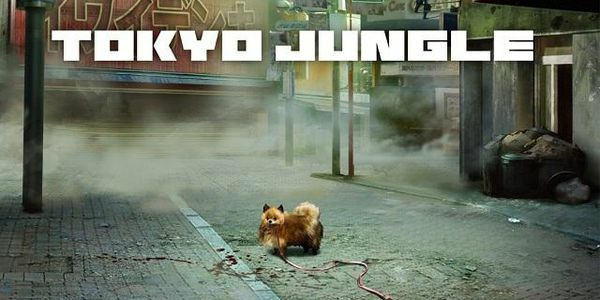 The premise behind the game Tokyo Jungle was created by mashing together two words which don't seem like they belong together. Unique presentation can make the exact same information seem entirely different. A common opening on dating profiles for people of all genders is: "My best friend says this about me..." I don't know where this comes from; it makes me feel like there's one article somewhere which tells people to use this setup. But I've also read profiles which for better or for worse stand out because of unique presentation. One I remember for being INCREDIBLY LONG, one used a lot of emoji, another person chose to format their favorites into lists with only one item per line instead of in a block of text. Presentation is what trailers have ultimate control over. Intercutting bullet points with game footage is the most basic way to do it, but there are SO many ways to show a game in a unique way. 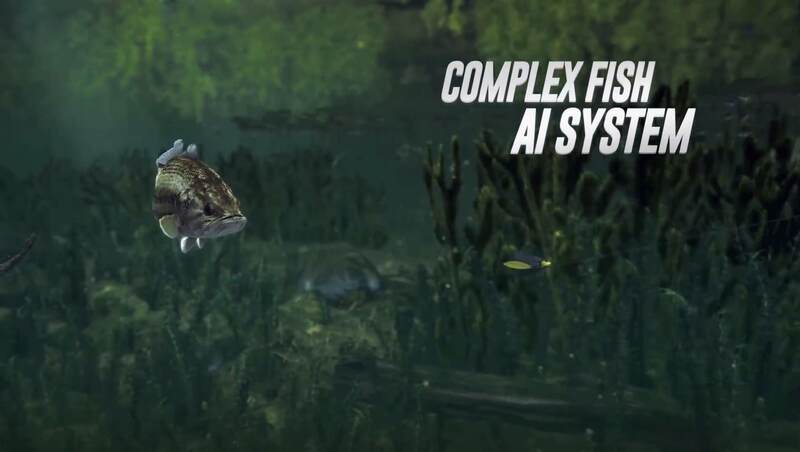 This trailer for Fishing Planet makes a fishing game look like it's the latest high tech racing game from Sony or Microsoft. In Ape Out you play as an Ape escaping from a facility; they made their first trailer playable. The only limit to how to present something is the creativity of the trailer makers. All this to say, there are so many ways to find something unique to frame a trailer around. 60-90 seconds isn't a very long time to make a pitch for a game, so why waste time citing the similarities a game shares with others? 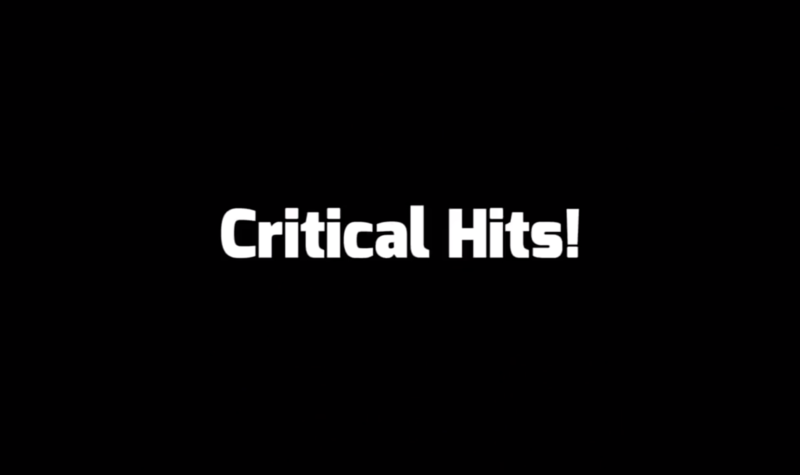 When I make a trailer, I first look at a game's features and qualities, and cross out everything I recognize from other games. Everything leftover is where I start, and I'll add back in anything I crossed out if and only if it's necessary to communicate the hook of the game. I think another reason people fall back on lists of popular features is because it can feel scary to go out on a limb with a unique and untested idea. As if they're saying to the audience: "Don't worry, this has lots of stuff you already love! But... there is one more thing." I think this has the opposite of the intended effect, because the audience for a trailer goes in looking for the unique thing; padding it out with the basic bullet points is simply boring. Something else to consider: you don't have to go out of your way to show how your game is similar others; the audience is already looking for things they understand. A person watching a trailer is like a person reading a menu for a cuisine they've never eaten before; everything might look totally different, but they'll still have the ability to find their way in with something familiar like a meat or vegetable. The audience isn't an empty vessel waiting to get filled; they're coming in with a baseline of knowledge, but that baseline presumably doesn't include the unique hook of your game, so that's what the trailer has to focus on!